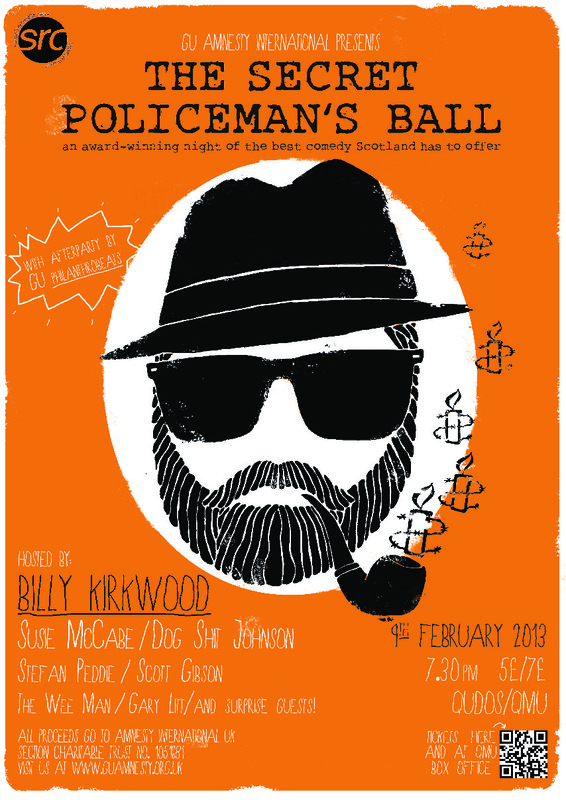 The Secret Policeman’s Ball is back! AFTER-PARTY hosted by GU Philanthrobeats up at Jim’s Bar in the QMU. You’ll never see the place looking this good ever again. with drinks at student prices! Tickets are £5 for entry to the SPB alone, or £7 for entry into the SPB and the after-party hosted by local group Philanthrobeats. Money raised goes to AIUK. We’re in the midst of setting up so cannot process any further online orders. Tickets will still be sold on the door though. Where will the SPB be held? 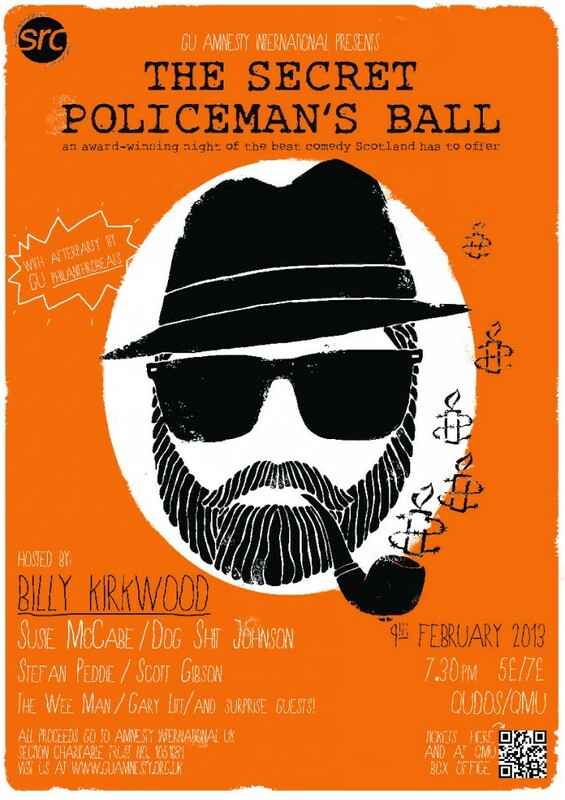 The Secret Policeman’s Ball will be held in the Queen Margaret Union, University Gardens, Glasgow G12 8BY. See OpenStreetMap or Google Maps for location and directions. The bonafide ‘Comedy-fizz bomb’ Ayrshire born comic BILLY KIRKWOOD burst into stand up in 2005. Quickly establishing himself as one of the United Kingdom’s comedy’s most watchable acts, he is widely regarded as a “must see” with an ever expanding, cult following, thanks to his unique, yet slightly surreal style of storytelling, near non existent attention span, likeable on-stage presence and inventive energetic performances.